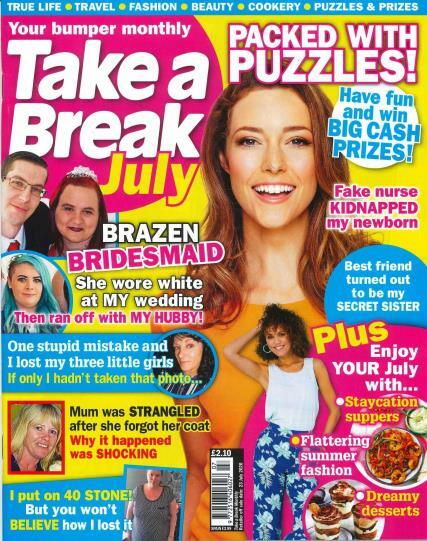 Take a Break Special, the spin off from the market-leading women's weekly includes a mix of real-life stories and puzzles. This magazine is a compliation of all the best bits of Take a Break. If you are looking for a overview of all the news and gossip from the series, this magazine fits it all in for only a few pound per year. You'll never go wrong every two months. If you love this title? why not try the orginal Take a Break magazine! Click here for more from the Take a Break Special.